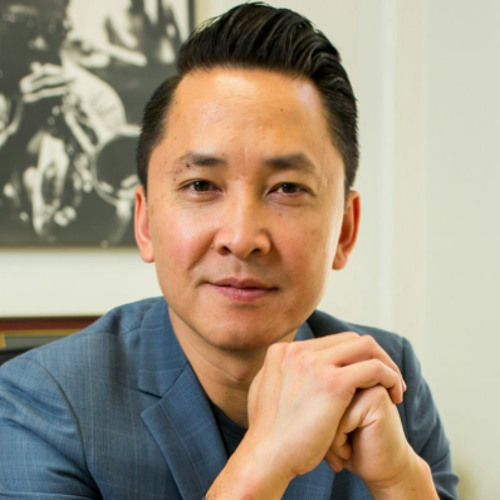 Viet Thanh Nguyen talks about being a refugee in the US—he has edited a new collection, "The Displaced: Refugee Writers on Refugee Lives," published by Abrams Books. Plus, Harold Meyerson on California v. Trump (29 lawsuits and counting), the teacher's strike, and more. Lastly, Margaret Atwood on her book, "The Handmaid's Tale," now a TV series—season two premieres on April 25th. Users who like Viet Nguyen on Refugees; Harold Meyerson on CA v. Trump; Margaret Atwood on "The Handmaid's Tale"
Users who reposted Viet Nguyen on Refugees; Harold Meyerson on CA v. Trump; Margaret Atwood on "The Handmaid's Tale"
Playlists containing Viet Nguyen on Refugees; Harold Meyerson on CA v. Trump; Margaret Atwood on "The Handmaid's Tale"
More tracks like Viet Nguyen on Refugees; Harold Meyerson on CA v. Trump; Margaret Atwood on "The Handmaid's Tale"